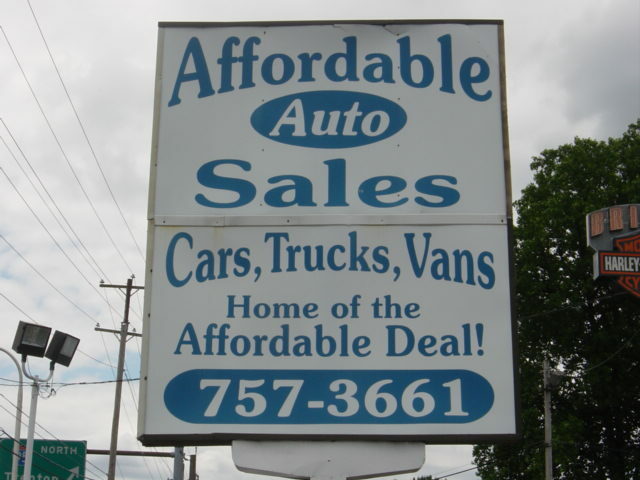 Welcome to Affordable Auto Sales! Home of the Affordable Deal! 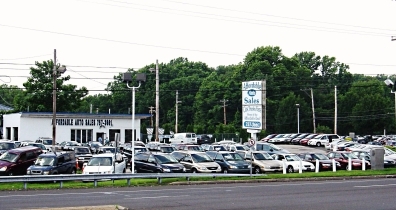 We offer fine quality, affordable cars, trucks, vans and SUVs. Our return customers are a testiment to our customer service. Our inventory constantly changes. Check out our latest inventory online, contact us using our online support, call or fax us. If we do not already have what you want, in our inventory, we will even look for a vehicle specially for you. Talk to Us. We Listen!. Take your time to browse our online inventory, and then call us or use our online support to get more details about any vehicle that excites you. .
We understand that you may be concerned about buying a vehicle whose factory warranty has expired. That is why we are happy to be able to direct you to a third-party Affordable warranty company that can give you the peace-of-mind that the most expensive, potential repairs in a used vehicle, the drive-train are again under warranty...at Affordable prices. During normal business hours, whenever we are able to be near our computers, we are happy to be able to provide you with the convenience of online support. Similar to a private chat facility, we will be happy to try to answer any questions you might have. In addition, we offer a support ticket service for when we cannot be available for instant support. Just open up your own new support ticket and we will get back to you, by email, to help you as soon as we possibly can.